I make a top 10 list of the best books I read each year, but right now, all I can think about are all of the truly terrible books I have read this year. Even though it’s only the end of July, here’s my six-month glimpse at the worst books I read in 2011. I don’t even have to tell you how completely terrible this book was, because I already did–in a totally absurd family e-mail chain. Really. The worst book I have read in so many years. I can’t think of a single nice thing to say about it. Despite having a really cool name, Dashiell Hammett writes some of the cheesiest fiction I’ve ever read. No matter that he’s credited with having invented the American detective novel. The man can’t write worthwhile, complex fiction to save his life. Having to read–and finish–this novel for the church book club was painful. I wasn’t shy about how much I disliked it, either. I was generally appalled by Thomas throughout this entire book. Even though a lot of people somehow love this book, I couldn’t stand it. She strikes me as one of the most irresponsible dog owners ever. The most arrogant writer I’ve ever read, bar none. I wrote a fairly scathing review about his miserable attempt to force his anxiety-ridden sheltie to compete in agility here. I really wanted to like this book. 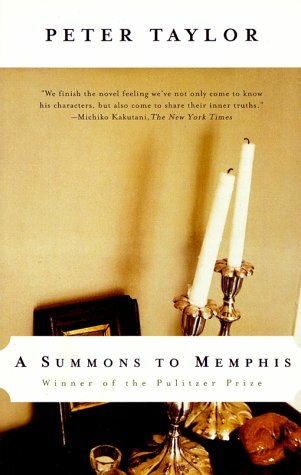 I love Southern literature, after all, and Francine Prose included this book on her list of Books to Be Read Immediately. Plus, Taylor was the writer in residence at UVA for many years. By all accounts, I should have liked it. But I really didn’t. The story is painfully dull and recounts the ambling lives of a stuffy, rich Tennessee family with a mania for preventing each other from marrying people. I’m astonished that it was awarded the Pulitzer. Books should never be this boring. 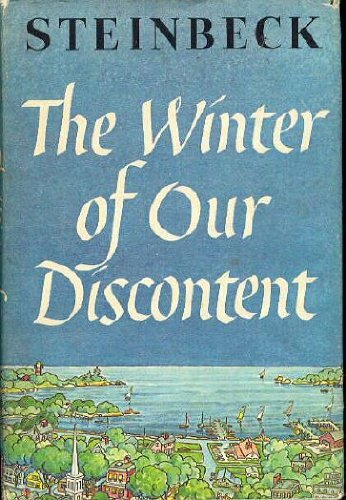 This novel is largely regarded as Steinbeck’s weakest work and I’d have to say I’d agree on that count. I’ve always enjoyed Steinbeck (East of Eden is one of my all-time favorite novels), but this book fell flat for me. I can’t even tell you what it’s about. I think it’s about a discontent family man who is trapped in a small town and keeps failing to make money, but even that’s a hazy memory. Overall, not worth picking up. I’ve read a lot of Coren’s books about dogs and I generally enjoy them, but this one strikes me as a lot of sentimental hogwash about personality types and breeds. Coren is prone to generalization and peppering his prose with irrelevant anecdotes. I think some of it could be counted as true, but I found most of his fluffy theories of personality stereotyping to be suspect. I didn’t hate this book, and I think I learned a lot from it, but I wasn’t hugely impressed by Wright’s scholarship. 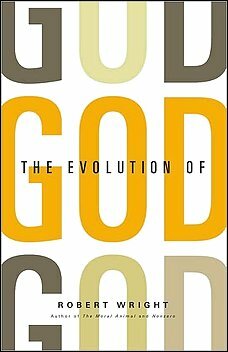 I think he makes some unfair generalizations, which is perhaps only expected, since he’s writing about God. The cover (from the B-list movie adaptation starring Kate Hudson and Naomi Watts) should have been enough of a hint. But I trusted Francine Prose and I got let down again. (This book also appeared on her list, Books to Be Read Immediately.) I think Johnson is a skillful writer and I did enjoy parts of this book, but on the whole, I wasn’t sure what the point of the novel was. I don’t always think novels should have plots, but they should at least have points. I hate to put this book on the list, because I truly love Willa Cather. However. Both of the book clubs that I’m in picked this book to read this year and I confess that I was dismayed. I’m a huge Cather fan, but I think that this is her least impressive novel. I’ve now read it 3.5 times and I still don’t like it any more than I did when I first picked it up. The priests, they are unrealistic; the whole narrative, it is dull. Willa Cather writes best about strong women making their way on the Great Plains, and this novel has no strong women and no Great Plains. Cather, I love you, but I think you should have stuck with what you did best. How about you? What are the worst books you’ve read this year? I love ALL of your book lists, really. You know, I think it’s more fun to read someone hating on, than gushing. At least, that’s how I feel after my 9-5. A list of vexation is like a nice, steaming bowl of popcorn. I’m impressed with anyone who has read 10 books this year. Magnificent. What is the ratio of like/dislike? I almost picked up The Thin Man in the library but remembered your post on Dashiell Hammet and didn’t. I always love reading your Book Lists so I can add to mine! Some of the best books I’ve read this year are: Mara Hvistendahl, Unnatural Selection; Nick Hornby, About A Boy; Edith Wharton, The Buccaneers; Lee Smith, On Agate Hill; The Robber Bride, Margaret Atwood; and Vita Sackville-West, The Edwardians. 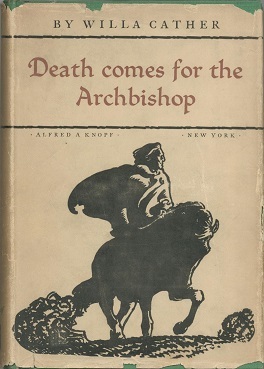 I also read “Death comes for the archbishop”, and I was equally appalled. My Antonia, was by far the most interesting and I have read it twice. You have an amazing passion for books, your lists have helped mould my reading list to only the best.